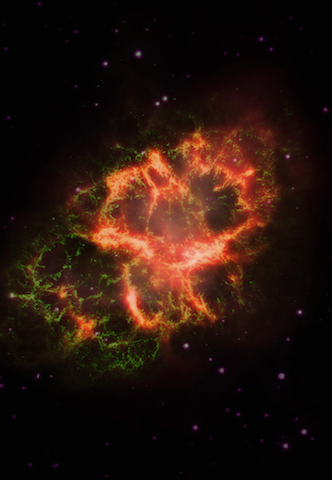 A composite of infrared (shown as red), visible (green) and ultraviolet (violet) images of the Crab Nebula, with IR enhanced and visible/UV balanced to yield neutral star colours. Credit: J. Greaves. Click for a full size imageGreaves has been searching for phosphorus in the universe, because of its link to life on Earth. If this element – with the chemical code P – is lacking in other parts of the cosmos, then it could be difficult for extra-terrestrial life to exist. Cigan, an expert on these stellar remnants, says: “This is only the second such study of phosphorus that has been made. The first looked at the Cassiopeia A (Cas A) supernova remnant, and so we are able to compare two different stellar explosions and see if they ejected different proportions of phosphorus and iron. The first element supports life, while the second is a major part of our planet's core”. The preliminary results suggest that material blown out into space could vary dramatically in chemical composition. Greaves remarks: “The route to carrying phosphorus into new-born planets looks rather precarious. 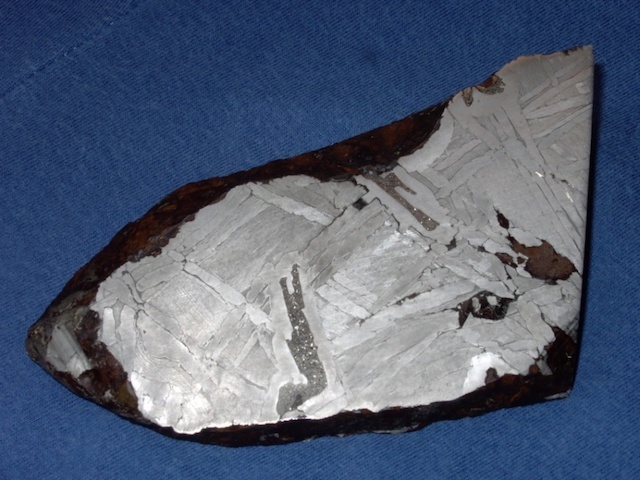 We already think that only a few phosphorus-bearing minerals that came to the Earth – probably in meteorites – were reactive enough to get involved in making proto-biomolecules.